More than 100,000 uninsured vehicles were confiscated by the police in 2016, according to figures released today. The research from HPI, the vehicle history checking company, show that the number of cars seized was down on 2015, when 121,000 uninsured vehicles were seized, but indicate that the UK still has a large problem with uninsured drivers. The cars seized in 2016 were mostly mainstream models, with the Ford Focus, Vauxhall’s Astra and Corsa, Fiesta and Volkswagen Golf making up the top five. Among the thousands of vehicles taken by the authorities, there were a number of high value cars, including two Lamborghini Aventadors, worth in excess of £200,000 each, as well a Bentley Flying Spur and McLaren 12C worth £130,000 apiece. 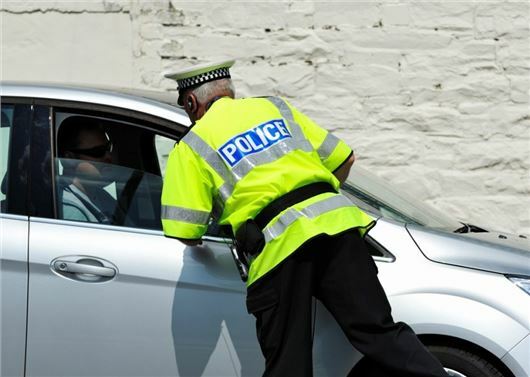 Since 2005, the police have had the powers to seize vehicles that are uninsured and impound them until insurance is produced and fines are paid. If unclaimed, the cars are then scrapped or sold by the local force. HPI launched CrushWatch in 2009 to make it easier for the police to check vehicles prior to disposal, giving them the option of reuniting finance companies with their often very valuable assets. In 2016 CrushWatch saved more than £87 million of uninsured cars from being crushed or sold. Wouldn't it be easier to have 3 small separate discs (that cannot be forged) in the bottom left hand side of the windscreen. that shows the tax, M.o.T. and insurance details of each car. Surely, this would greatly reduce the number of illegal cars and drivers on our roads ? And then have a standard fine for each offence. i.e. £1000 no tax, the same amount for not having an M.o.T, £3000 for no insurance and a12 month ban (more for repeat offenders) ! Hit them as hard as you can, we the honourable and legal motorists, are paying for these scumbags to ride around free. What happens when they hit someone and injure or kill, they get a meagre sentence from some out of date judge with no thought as to the impact on the whole family or lively hood repercussions. This happened to me last month. The driver was drunk, no licence, no MOT, no tax either. The 4 people in their car scarpered as soon as the accident happened, however, the police caught them and they have been charged. I hope they get the book thrown at them, but I doubt it will be more than a slapped wrist in the end. If your number plates get stolen ask the police to look out for them - it might be you they stop or it might just as likely be someone using your plates to avoid being detected as uninsured! No need for these extreme measures. The problem is simple to resolve. New cars will always have tax and insurance. But as a further measure the Government (DVLA) can take by credit card the 1st 5 years of tax and insurance, without debiting the card. After deducting the 1st year taxes, at the start of each yea deduct the amount of tax and insurance.due.If they try and cheat the system do what the Swiss do,fine them 10% of their gross income.A Swiss banker driving a Lambo at over 120 mph, was fined 10% of his not inconsiderable salary of approx £316000. He paid a fine of £31600. He now drives a Nissan Leaf. Force motor insurers to inform the DVLA if the there is an insurance claim and premiums are increased. If the owner wishes to sell the car, to a dealer or private customer, the sale does not go ahead until the process above is repeated for the new owner. Also log the details on the ANPR. The process is repeated every 5 years if the car is not changed. When you sell.buy a house none of us can get the house or the money until stamp duty, solicitors fees and estate agents are paid. Ditto with cars. I am not saying the scheme is perfect, but India, Singapore and Denmark do it for purchases of new cars and 2nd hand cars. The problem is they are not hit hard enough and with a prison population at full magistrates are loath even for serial offenders to commit to prison, so what is the answer ? Plus if the police say they have caught 110k offenders god knows what the true figure is going around on our roads. Crushing the vehicles is fine but someone with no insurance and a banger worth a couple of hundred quid with no MOT will simply buy another and carry on, there has to be another way of hitting them hard, suggestions ?. Bring back the stocks! Nothing like a bit of public shame to deter people. We did have a disc showing road tax,but in their "wisdom"the government decided to scrap the disc which is displayed. Agree fully with you on the fines,I would add that crush the car as well as the fines. I believe it's not a significant problem here in France. All cars must show a small insurance certificate, and MoT certificate if applicable in the windscreen, and drivers must have their driving licence, full insurance certificate and registration document with them. Random spot checks are quite common. I agree, crush their cars, it hurts their pockets and keeps more uninsured cars off the streets. Also, close the loopholes for drivers claiming to be in the 'trade' and using traders insurance.